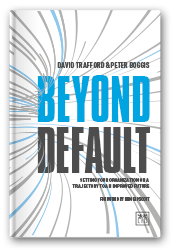 Do You Have IT Organisational Clarity? Clarity of organisation is particularly important for IT leaders today as IT management and operational roles are increasingly dispersing throughout the business, rather than being performed within a homogeneous IT organisation. The ‘Six-Month Rule’ of Organisational Change – It’s All Personal! It is said, “All politics is local”. Picking up on that aphorism, I think it is equally true that all change is personal. So Much Known – So Little Followed! This is the final part of a three-part series of papers on a Business-IT Maturity Model (BIMM). 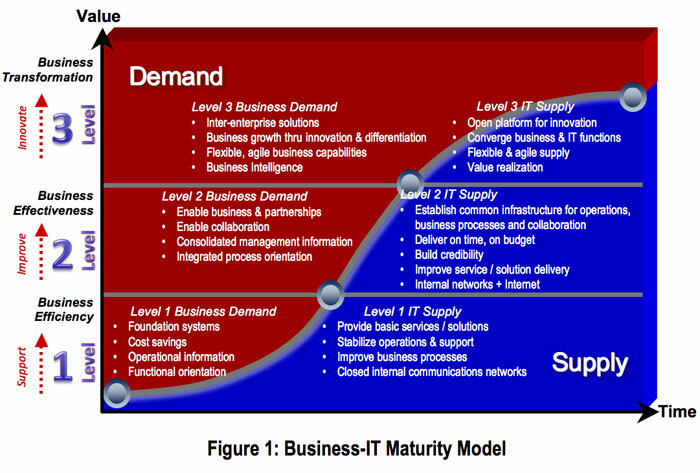 This is the second of a three-part series of papers on a Business-IT Maturity Model (BIMM). Figure 1 below is reproduced from Part 1 and depicts the basic three-level BIMM.